To celebrate the launch of All We Have Lost in paperback, I’m running a giveaway on Goodreads. Just click this link for a chance to win one of three signed, first edition copies. 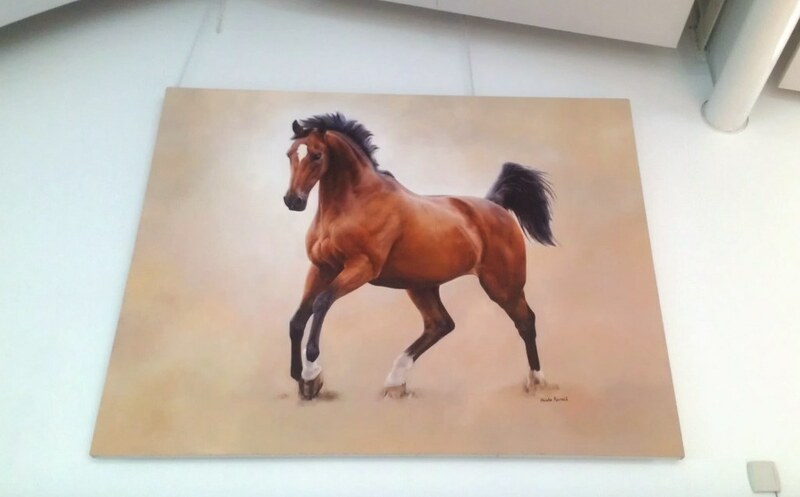 I hope they never take down the painting of racehorse, Istabraq, at Dublin airport. Every time I see it I think of the person who created it, the very talented, very wonderful Nicola Russell, who died this week. The world has lost an incredible artist and a very special person. I have lost a friend. I met Nicola at an artists’ retreat. We became immediate friends. We made each other laugh. We connected. Nicola inspired me to set out on the road to self-publishing. I am so grateful to have had Nicola as a friend. I’m grateful for the fun we had and the inspiration and encouragement she gave so freely. I was so happy to dedicate my novel, All We Have Lost, to her and am grateful that she got to see that. I am greatly comforted by the fact that Nicola will live on in the great work she has left behind. This really does seem to be a Carpe Diem week.